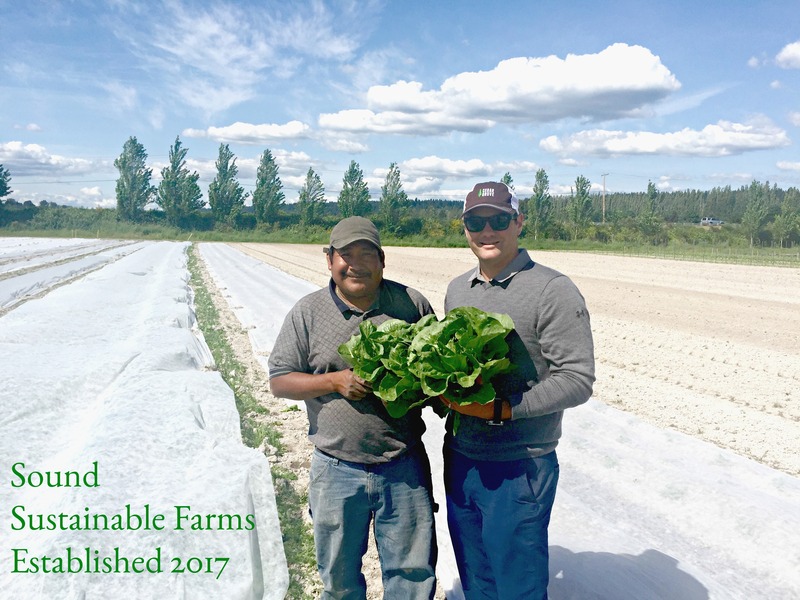 Sound Sustainable Farms, opening this summer and located in Redmond, Wash., strives to bring fresh, locally grown, organic food to the tables of diners at our finest area restaurants, fans at our region’s iconic ballparks and the tables of hungry families throughout our region. Earlier this year, Cedar Grove brought its locally manufactured, organic compost generated from local residents and restaurants to a dormant farm to restore soil health and initiate productivity on land that was intended for and protected for farming. Founded by J. Stephan Banchero, III, vice president of Cedar Grove, this farm uses compost generated from food scraps collected from local restaurants and residents to grow 78 different crops locally and organically. Cedar Grove, locally owned and operated and with roots in the Puget Sound region dating back to 1938, is responsible for the diversion of organic materials from the landfill. As compost is proven to be beneficial in agriculture, adding nutrients, retaining water and replacing chemical fertilizers and synthetic pesticides, more than 3,000 yards of Cedar Grove’sWSDA-registered organic compost have been applied to the field, working to restore the natural health of that King County protected farmland. Through Sound Sustainable Farms, Cedar Grove and some of its longtime customers including El Gaucho and Aqua by El Gaucho, Cactus Restaurants, the Metropolitan Grill, Heartwood Provisions, Tutta Bella, First and Goal, Ivar’s Restaurants and other partners are leading the way towards closing the loop on organics recycling and taking meaningful steps to sourcing locally and sustainably produced food. “For 20 years, the El Gaucho sourcing philosophy has been to find the very best ingredients for our guests with local and organic products at the top of our priorities. El Gaucho Fields allows our culinary team to work with the farmers of Sound Sustainable Farms to plant and harvest their choice of fresh, local organic produce and honey,” said Chad Mackay, president and COO, El Gaucho Hospitality. Each partner involved in this project has made a long-term investment to sustainability; taking the initiative to divert food scraps from the landfill and composting those resources with Cedar Grove as a major component in their waste diversion initiatives. Now, those businesses are partnering to put their food scraps to work on a local, organic farm that will grow food for their customers. As Seattle features a vibrant restaurant community and a customer base of informed, discerning, conscientious consumers who care about what they eat, this partnership supports our community as it relates to carbon reduction, waste diversion, and our local food movement. Enhancing the land we farm by adding compost and nutrients and leaving it better than we found it. Supplying restaurants, local residents and food banks with fresh, locally grown, organic produce. Providing an educational venue and opportunities for the community we serve to learn more about using compost in agriculture, growing produce west of the mountains, organic farming practices and standards and more. Providing local jobs for farmers. Sound Sustainable Farms is devoted to building and maintaining healthy soils by using compost, cover crops, rotating crops and reducing tillage. The farm will reject the use of synthetic insecticides, herbicides, fungicides and fertilizers. Sound Sustainable Farms will sell its products locally to limit the environmental footprint of transportation and is committed to working collaboratively with the local farm community to support agriculture markets and infrastructure so that small farms thrive. To find out more, please visit www.soundsfarms.com.